Every musician needs a working knowledge of music theory in order to ply their trade, but like with all other knowledge, the basics can deteriorate in your over time if you haven’t trotted them out in a while. Enter Dr. Joel Clifft, music professor of USC and APU, with Music Theory Pro, an app that musicians of all levels will find useful. In spite of being developed by a professor, Music Theory Pro doesn’t make you read tons of text, spit out facts or recite a lecture at you; instead, this app challenges you by outright testing. Music Theory Pro is straightforward and easy to use, even if some of the topics aren’t easy to grasp. Beautifully designed and easy to navigate, you don’t ever have to waste time trying to figure out what your next step should be. However, it is also an app that requires at least some knowledge beforehand, or you’ll be hard-pressed to keep up (i.e., if you haven’t studied music theory at all, you’ll be completely lost). 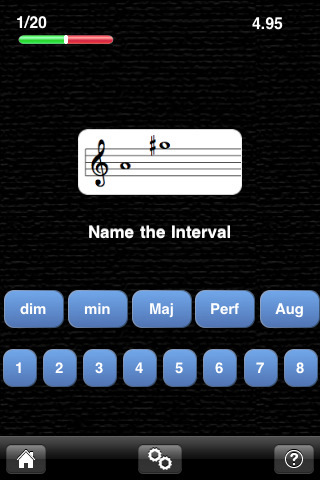 This is not really a beginner’s sort of app, but those that do possess enough music theory will enjoy utilizing it. The testing aspect in particular is great–learning through a series of little quizzes is nearly always more effective than just reading text. You don’t have to carry around your instrument to practice your art…sometimes all you need is an app. AppSafari review of Music Theory Pro was written by Julie Guan on October 28th, 2010 and categorized under App Store, Education, Featured, Music. Page viewed 6347 times, 2 so far today. Need help on using these apps? Please read the Help Page. My kids have studied piano for about a year and this app is great in drilling note name recognition. For me, a college graduate of music school, I like the ear training. The only thing I’d like to see added is more extensions on the chords, like maj9, min9, dominant 9th, #11, b9, #9, etc. 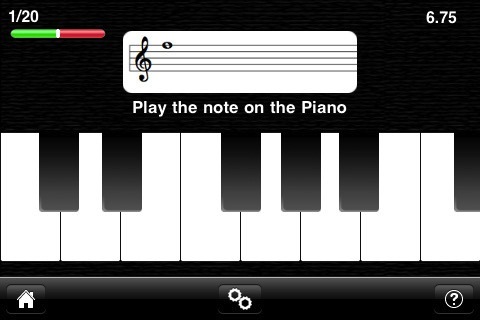 Other than that a great app that I wish I had 20 years ago in my aural skills class!